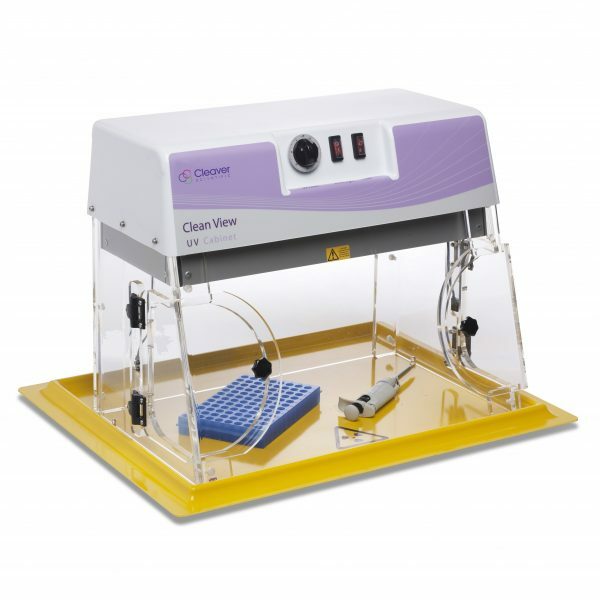 The Cleaver Scientific Mini UV Sterilisation Cabinets provide a convenient area for limiting PCR reaction contamination. The powerful UV lights on the cabinets denature nucleic acids in 5 to 30 minutes making them unsuitable for amplification. White light provides excellent visibility when working within the cabinets. The cabinet incorporates safety features to prevent user exposure to UV light; the UV lights are timer controlled, and there are safety switches on the cabinets doors which automatically turn the UV lights off when opened. The cabinet also acts as an efficient shield from beta radioactive emissions, and can therefore be safely used with isotopes such as 32P. 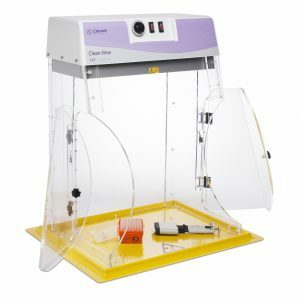 With the benefits comparable to those offered by the CSL-UVCAB, the new Mini UV Cabinet is the perfect solution for laboratories constrained by space and budget. 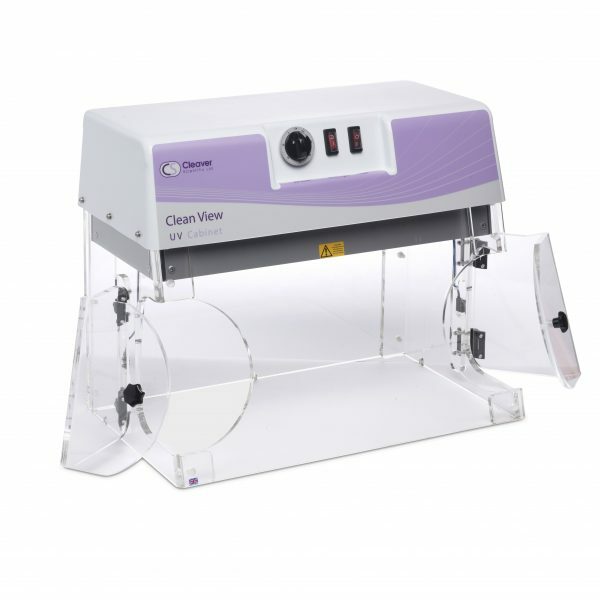 A reduced height and footprint allows the Mini UV Cabinet to fit snugly and conveniently into those small areas within the laboratory that would otherwise remain unused. For use with trays of size 68 x 54cm, CSR-TW4/TY4/TL4.